Being the most popular desktop operating system, Windows has always been a much-favored target among the hacking community. Most of the 2017 malware attacks (especially ransomware) targeted Windows operating systems. The havoc that WannaCry ransomware – which successfully exploited the Windows EternalBlue vulnerability – caused cannot be forgotten that easily. 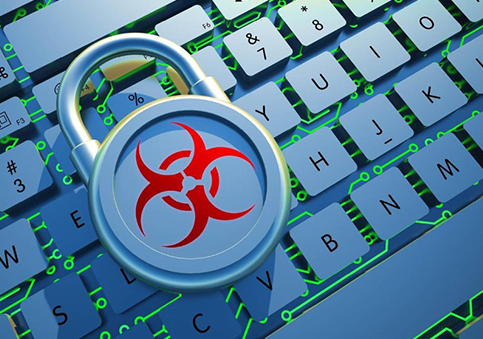 Now the question is: What are you doing to prevent malware from infecting your PC? Malware can infect any computer. Not just the ones part of enterprise networks. So if your home PC is not protected well, chances are, you may become the victim of the next malware attack. Now how can you protect your PC against malware attacks? The fact above (a new malware strain was discovered every 4.2 seconds in Q1 2017) serves as a clear indication that you need much more than an antivirus package to safeguard your PC(s). You need one that can update itself regularly with the latest malware signatures. One that can work well with other security software to fight malware. To be more precise, you need an Internet Security Suite. An Internet Security Suite – sometimes known as a paid antivirus – is usually a combination of a group of security software like antivirus, firewall, website filtering, etc., all rolled into one, which comes equipped with cutting-edge technology that can successfully handle various types of malware attacks. antivirus combined with a group of security products can fight malware efficiently. Comodo Internet Security has been specifically designed with PC users like you in mind, and contains impressive features like Containment, Host Intrusion Prevention System (HIPS), VirusScope, Default-Deny Approach, which safeguard your PC not only against the known but unknown threats as well (which is quite important when it comes to combating malware). Quarantine The Unknown: Malware attacks which are yet to be studied or discovered (new malware) are the ones which are the most successfully causing damage worldwide. Because the unknown cannot be predicted easily. But CIS, which employs containment technology, is effective against unknown malware (files or applications) as well. As it can quarantine the unknown and run them in a separate environment without allowing them to affect your PC. Track Activities Within Your Computer: Modern-day malware has the potential to easily slip through various layers of protection and enter your PC. Therefore you need a technology which scans your PC's activities (applications and processes that are running) and stops or terminates suspicious looking ones. HIPS (host intrusion prevention system) technology, which is a part of CIS, is responsible for this. HIPS can also detect (and stop) file-less malware as well, which don't leave any traces behind in your operating system. Keep Sensitive Information From Being Exploited: When you use your PC(s) to transact sensitive information – for example, banking online – there's a chance you may end up leaking it due to the dangers posed by browsers as well as internal issues (maybe a spyware). With CIS, you can avoid these security risks as it allows you to make use of Virtual Desktop service. Undo Malicious Activity: Detecting malicious activity within your PC(s) is one thing. Undoing them is totally another. Using VirusScope, a technology which is a part of CIS, PC users like you will be able to undo detected malicious activities easily. Safeguard Sensitive Information: With so many ransomware attacks invading PCs worldwide this year, it's time users thought of a safe place to backup or secure their system data. In case they fall victims to malware attack, they will be able to retrieve their data and reset their systems without having to pay the ransom. CIS's cloud-based backup helps users perform this. Alternatively, Give Complete Protection for 3 PC(s) for only $89.99 per year!